We design and facilitate customised Team Building workshops for organisations based in Melbourne, that help work-groups work together more effectively. Improving your teamwork begins with taking a step back and evaluating how well you are all working together – so that can equally reaffirm your strengths as well as identify potential opportunities for improvement. The duration and focus of the workshops can be customised to address the outcomes you want to achieve with your team. Brian Carroll is a very highly experienced corporate team building facilitator based in Melbourne. If there are “pain points” or contentious issues within your team that have been under-mining team effectiveness, then Brian can help you to surface these. On ce issues are acknowledged, then it becomes possible to discuss them in a more open manner so that workable solutions can be found. Why are we hare? ……. Where are we headed? …….. what’s working and what needs fixing? 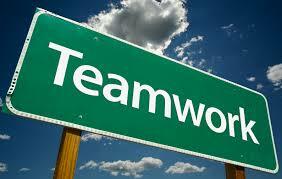 ….. What are the strengths and weaknesses within our team? ……. How well are we meeting customer expectations? ……. Whatever questions your team needs to reflect upon can be properly guided, with the assistance of an experienced, impartial facilitator. 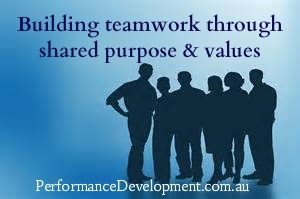 Contact us now ph (03) 9725 3777 to discuss how corporate Team Building can be facilitated in-house for your workgroup. But does it work – is it worth the time? Research by social scientists at the University of Central Florida, “Does Team Building Work” found that positive benefits can be achieved for groups – provided that it is not invasive, awkward or unnaturally forced. Team building when facilitated effectively, can lead to better working relationships and improved problem solving within a group.